Is It Safe To Eat Biltong During Pregnancy? Are you expecting and craving to eat biltong meat? Do you want to ensure a healthy protein intake during your pregnancy? If you said yes, you should eat biltong during pregnancy. What is it? How does it help? Read our post and find out here. Pregnancy is a delicate phase in a woman’s life, so it is important to take great care to ensure you and your unborn baby’s good health. You may receive lots of suggestions, dos, and don’ts during pregnancy. 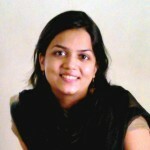 Contradictions can put you in a dilemma and prevent you from fulfilling your cravings or ensuring healthy diet. So it is wise to know what is appropriate and what is not. So, go ahead and scroll down. Biltong is a special meat originating from Southern Africa but is now popular worldwide. Many individuals enjoy eating the meat in Western countries. Read our post to learn how biltong is beneficial and safe during pregnancy. Biltong is a rich source of proteins that help you develop strong and healthy muscles during pregnancy. The meat serves as an excellent protein supplement to your pregnancy diet. Also, biltong regulates your appetite and aids in maintaining your blood glucose levels stable. 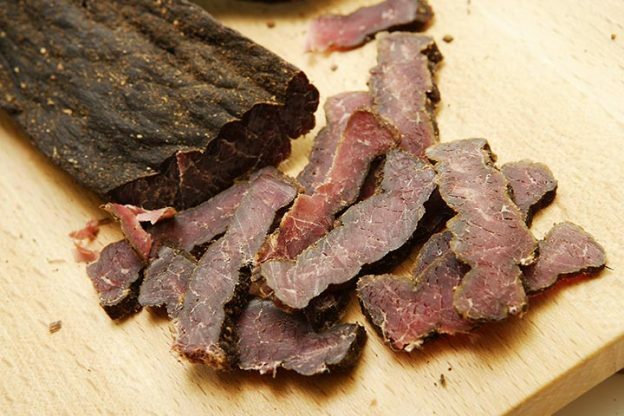 Several researchers reveal that biltong is a safe protein rich food that contains no carcinogenic ingredients (1). It is a fact that carbohydrates lead to weight gain. However, biltong contains low amounts of carbohydrates that help you regulate weight gain during pregnancy. The meat provides you the necessary quantity of carbohydrates and serves as a healthier and more delicious than other low-carb meat diets (2). Biltong contains low carbohydrate content, so the meat helps you improve and maintain brain concentration abilities during pregnancy. Eating the meat will prevent the risk of loss of concentration in spite of your busy schedule (3). 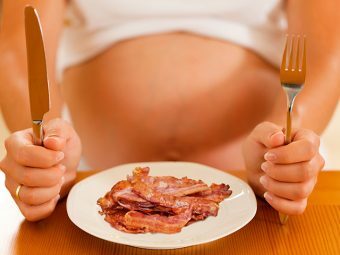 Some kinds of meat are harmful to your health during pregnancy due to their high chemical content. 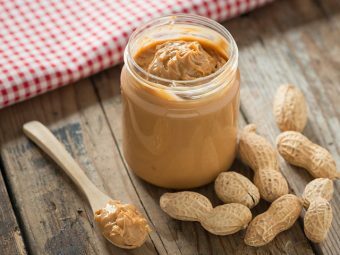 Chemical ingredients such as artificial flavors, preservatives, sodium nitrate, and other chemicals, prove hazardous to your health. However, biltong contains no chemicals. Biltong contains sugar, salt, black pepper, vinegar, coriander, and meat that aren’t harmful during pregnancy (4). 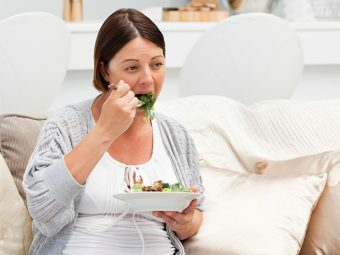 Even though there are many health benefits of eating biltong during pregnancy, several individuals are skeptical about how safe it is to consume the meat during pregnancy. 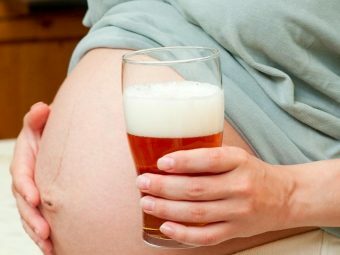 It is safe to consume biltong in moderation during pregnancy. However, raw meat is at high risk of carrying bacteria or Listeria. So avoid eating raw or undercooked meat while expecting. Avoid moist biltong during pregnancy as it tends to carry high fat that promotes the growth of harmful micro-organisms. Cooked meat at high temperatures is safe to eat since it is less vulnerable to contain bacteria. Also, it is safe to eat biltong if it is of high quality and from a reliable source (5). Now that you know safe measures to follow while eating biltong while pregnant, you can go ahead, take right care, and satisfy your craving for the meat. Make sure you consult your doctor before eating biltong while expecting. The doctor will guide you to eat an appropriate quantity of biltong so that it won’t harm you or your unborn baby’s health while you are pregnant. Did you eat biltong to satisfy your food craving while expecting? How did you benefit from it? Share your invaluable experience with other expecting moms. Leave a comment below. Fellow moms would love to hear from you. 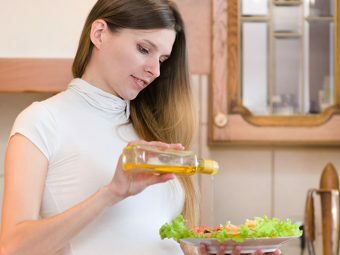 Is It Safe To Eat Olive Oil During Pregnancy?